A foremost northern Nigerian politician has asked President Buhari to take a bow from politics but if he insists on contesting that his return will end in tragedy. 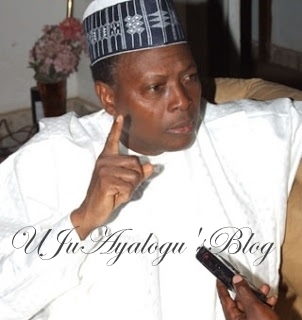 Kano-based politician, Dr. Junaid Mohammed in this interview with Guardian's Adamu Abuh has exposed the ills in the government of President Muhammadu Buhari. He has revealed that if Buhari returns in 2019, things will be disastrous for Nigeria. What do you think of the clamour for a second term for President Buhari in 2019? Personally, I am not surprised that there is clamour for President Muhammadu Buhari to continue and contest in the 2019 poll. Anyone involved in this country’s politics knows that there is absolutely nothing new there. Every president we’ve had in this country, every heads of government, as well as heads of state have been told they were special persons, that nobody else can govern the country, and as such they should continue, as such without them, the country couldn’t move on. I am not surprised it is happening to Buhari and I am not surprised he is putting his personal ambition over and above the country’s interest. It is so unfortunate that Buhari and the cabals have found themselves in the same shoes as their predecessors and it will end in tragedy. I say so because those urging them to remain perpetually in power are not doing so because they like them. And even though Buhari has surrounded himself in a very nepotic way by ensuring that all the major appointments were given to his in-laws, nephews and cousins, but I can assure you that when the chips are down, he would be left to cry all by himself. First and foremost, the question I ask myself when something of this nature emerges is: Is it the truth? And I have no doubt in my mind that what both Obasanjo and Babangida said was the truth. In addition, I also believe Nigerians should be more mature, because though you may not like somebody, but as long as what he/she said is the truth, then you should stand by the truth. If others are imputing motives to Obasanjo and Babangida by saying it was a continuation of an old quarrel and that they never liked Buhari; that is neither here nor there. The fact of the matter is that Buhari has done nothing for Nigerians to like him. So, whatever was the motivation, what they said was the truth and I believe they did this country a great service. I am prepared to stand by them, even though I have my own issues with them. I was sent to jail without any trial during Babangida’s regime and up till today nobody has told me what I did. They took me to Owo in Ondo State during the month of Ramadan, while I was fasting for nearly three months. I have also had problems with Obasanjo, even before I resigned from public service to join politics over his attempt to jail my colleague, Hamidu Ali, the man who had a gun in the House of Representatives, but that is neither here nor there. What they said was the truth. The nepotism they mentioned, I also talked about over two years ago. What is your take on the alleged lopsided appointment of security chiefs and the controversy surrounding appointment of the NIA DG? There is no law that says those who are heading security positions must not come from a particular zone. But what happened was that this gentleman, Mr. Ahmed Abubakar, who was not even an NIA employee, joined the service by accident, because there was supposed to be a meeting of what they called Nigeria /Niger commission and unfortunately the then DG of NIA did not make arrangement for interpreters from Lagos, when the summit held in Kaduna. So, they found somebody that could speak French, who was in Katsina State’s kitchen cabinet. And so, he was picked and then he became the interpreter for that occasion. After it was over, the then NIA DG, who was a Katsina man decided to induct and recruit him into the NIA. And that was how the man came into the service. But because he came from a very low background, when he sat for exams from Assistant Director to Deputy Director, he failed twice or thrice. And the NIA system, just like that of most Civil Service, stipulates that if you fail an exam once or twice, you’ll be asked to go. So, this man was asked to go. And he left quietly, but they later discovered that the way he was recruited was improper. First, there was the question about where he was born. It was discovered that he was born in Chad Republic. Then they also found that he was married to a Moroccan. Now in the service, they don’t allow you to marry a foreigner, though you can be a diplomat and marry a foreigner. But somehow, this was allowed to pass because the man has powerful backers. However, he had to go eventually because he could not pass his exams. But some of the people that sat with him and passed their exams are still in service. But they have now appointed him DG NIA over and above those who are with him, and who passed their exams while he failed his own. They sacked the other people who passed their own exams. This means the Buhari government is determined to reward failure, provided it is his kinsmen. You know the directors have taken the matter to court. The issue at stake over the appointment of the DG NIA and DG SSS is not wrong because they are from the same state, but because they did not meet the laid down guideline and they were also deficient in terms of their qualifications and the cognate experience in their places of work. There is also the issue of never appointing somebody to supersede people who are better, unless you want to destroy an organisation. You don’t allow it in any system. In the case of the DG SSS, who had already retired from service years ago, he was brought back and made the DG SSS. That was improper, unusual and is very devastating to morale. I like him. He used to be a director in Kano and is a personal friend because we used to get on well, and I still like him, but unfortunately, his problem is that he believes he is a politician and he is not. He is a security technocrat. So, if he behaves like he knows too much of politics, he will end up in disaster. In the case of the newly-appointed DG NIA Ahmed Abubakar, who is also from Katsina, the man clearly did not measure up when he was in service. He failed his exams. There is nothing he can do about it. He had to go because they have a hierarchical system, just like in the Army. If you don’t pass the Captain to Major exams, they ask you to go. To make matters worse, they now picked him and made him boss over those that sat with him for the same exams and passed. The most senior director, who should have been appointed, is from Plateau State. He was the one that acted. He is Mr. Mohammed Dauda. He is fit and qualified to take the seat as the substantive head of NIA and you now brought a failure to take the seat. This is gross injustice and a great disservice to the country. At any rate, if he wanted a northerner, what is wrong in picking the man who is the most senior and from Plateau State? The most senior director after Ayodele Oke was asked to leave was from Plateau State. He was allowed to act and they had nothing against him, other than that there is some mago mago in the NIA concerning money found in a flat in the DGS office vault. It is only in Nigeria you have somebody keeping $43 million in some kind of flat in Lagos and then about $44 million in his office. He must be crazy or there must have been some high handed moves by the cabal to steal the money and then the man came out to say he was not confirmed, because he was not prepared to cooperate with the cabal to steal the money. And the other directors who had been shortchanged have now taken the matter to the High Court. It is not a matter of heads of security outfits coming from a particular zone. As I’m speaking, there are 28 directors from the Southwest in the NIA. And this is just within the two terms of Oladimeji and Oke. How do you justify having 28 directors mainly from Oyo State, when there are states that don’t have a single director in NIA? They should know that some of us know so much about the agency. What is your take on the existence of the so-called cabal in Buhari’s government? When I started talking about the cabal over two years ago, many Nigerians, some of them with the best but naive intentions, thought there was no such thing as cabals. But there is a cabal. Because Buhari has been out of government for many years, he has not been able to update his knowledge in terms of development and events in and outside the country. And because of this and in my own estimation, we now have the least competent, the most isolated, most divisive and arrogant leader in the history of Nigeria. And in a country that is so complex and not so cohesive, this is clearly a disaster, which is where we are heading. Right now, nobody doubts that there is a cabal. The de facto president of the country from May 29, 2015 has been one joker called Mamman Daura, who was a one-time Managing Director of the defunct New Nigerian newspapers. He is the head of the cabal and the de-facto president, because there have been instances when the president would give an instruction, he would undermine the instruction and nothing would happen. There have been times policy decisions or appointments would be made and his lackeys – Abba Kyari, the president’s chief of staff, the former secretary to the government of the federation (SGF) Babachir Lawal, who was appointed against all odds, but who remained there because he was in the cabal’s good books, will tamper with it. We all knew how he diverted donor monies belonging to international donor agencies, until they told Buhari in no uncertain terms that he had to be punished. But the others like Mamman Daura and Abba Kyari are sitting tight and taking decisions for you and me, as well as all Nigerians. None of them was elected and though Kyari has a letter of appointment as chief of staff, Mamman Daura does not have a single letter indicating that he is whatever he is, but how he came about exercising such enormous powers is what nobody knows. There are ministers who have been appointed not because they have any qualifications but because they are related to Buhari. The Aviation minister, Hadi Seriki is his elder sister’s son. Amina Zakari, who works in the Independent National Electoral Commission (INEC) representing the seven states of the northwest zone was appointed even before Buhari came into power through mago mago. It is left to the former president Goodluck Jonathan to tell us how she became national commissioner in INEC. Then there is the minister of Interior, Gen Abdulrahman Dambazau (rtd.) who was born and bred in Zaria. Somehow, and in a typical arrogant and abuse of power, he was turned into a Kano man and given a ministerial appointment, which constitutionally should have been given to a person who grew up in Kano State. Yet, Kano is the only political base Buhari has. There are several others. The State House chief of protocol is a son-in-law to Mamman Daura, who is President Buhari’s nephew. Ordinarily, the position should have been given to a senior ambassador. The president’s chief personal security officer is Mamman Daura’s younger brother. Another State personal security officer is another relation of theirs. The ADC to the president is a son-in-law to them. Do you know that the S.A to Governor of the Central Bank of Nigeria (CBN) and the S.A to the junior minister of petroleum resources are Mamman Daura and Buhari’s daughters respectively? This is an update of what I started saying two years ago. They now have their sons, daughters, sons-in-laws and nephews as beneficiaries of the appointments made so far. Now, among the people in the cabal, but very powerful and not known is someone called Tunde, originally called Sabiu Yusuf. He is the son of Mamman Daura’s immediate younger sister. He is, today, P.A to the President, even though he has never worked for one day in his life. But a P.A job is normally the work of a full-blown director or a permanent secretary. That boy only got married last year and as I speak to you now, he is one of the billionaires in Nigeria today. Nobody of his age has the kind of money that boy has. So, can that be justified? If they are going to treat this country as if it was conquered by them and or by their families, you can imagine what the picture would look like, if Buhari were to be given a second term and how they are going to use our resources and how they are going to abuse power. Mamman Daura’s daughter, who is married to one of the Dantatas, is the S.A to the CBN governor. Then Buhari’s sister’s son is also an S.A to Kachikwu, the junior minister of petroleum resources. The chief personal security officer to the president, DCP Abdulkarim Dauda is Mamman Daura’s younger brother. The chief security officer (CSO) Col Bashir Abubakar is also married into the family. The State chief of protocol, Lawal Kazaure, who has not reached the rank of an ambassador, is also married to Mamman Daura’s eldest daughter. I mentioned earlier that the P.A to the President, Sabiu Yusuf Tunde, who is in his 20’s, is one of the wealthiest 20-year-olds in Nigeria. He is also the son of Mamman Daura’s immediate younger sister. She herself is a niece to Buhari. And that is how the country is being governed. The national commissioner at INEC is Buhari’s niece. In addition, her husband, who used to be a manager in UBA, died. Now when an opportunity arose, they went and picked the late husband’s younger brother and made him Director General of the National Youth Service Corps (NYSC). He is Brig Gen Zakari from Kazaure in Jigawa State.